Lindy’s Sports Fantasy Football is an annual magazine from the US. 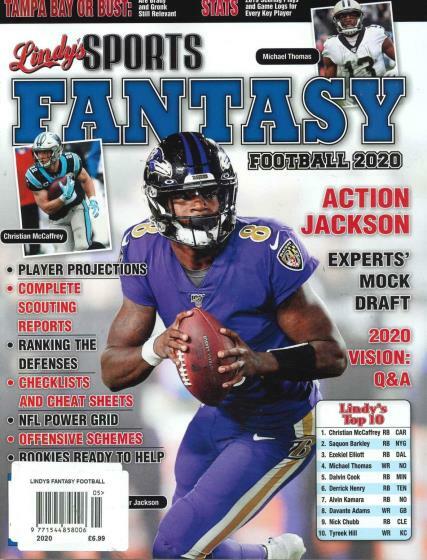 Buy a single copy or subscription to Lindy’s Sports Fantasy Football magazine. Featuring player projections, complete scouting reports, rating the offensive lines, check lists and cheat sheets, NFL power grid, rookie prospectus and team reports.